Shynar Baimaganbetova is a PhD student in the EPL Department. She received her BA and MSc degrees from Almaty and Astana, Kazakhstan. Prior to joining the EdUHK, Shynar worked as an EFL instructor with young and adult learners. Her recent work experience involves a professional development program where she served as a trainer for English language teachers from vulnerable rural populations. Shynar’s current research project centers on youth aspirations and life transitions. Apart from academic life, she is passionate about interior and fashion design, mindful living, and dumplings. Popular Culture and Social Media in Education. 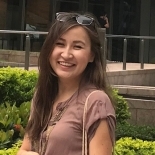 Kuralay Bozymbekova is a PhD student of the Department of Curriculum and Instruction. Kuralay obtained her Bachelor’s degree in Public Policy from the University of Birmingham in the UK and her Master’s degree specializing in Peace and Global Governance from Kyung Hee University in South Korea. Prior to joining EdUHK, she was an instructor at the Graduate School of Education of Nazarbayev University in Astana, Kazakhstan. She is currently pursuing her PhD sponsored by the Hong Kong PhD Fellowship Scheme under the supervision of Prof. John LEE Chi Kin. 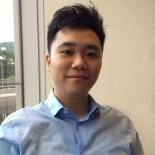 CHAN Ki has a strong interest in the study of civic education and is furthering his studies as a PhD student in the Department of Curriculum and Instruction of the Education University of Hong Kong. He focuses on issues of civic education in the context of Hong Kong ethnic minority students using a mixed method approach. He studies the ways ethnic minority students’ online participation influences their identity and civic engagement. This aims to support social mobility and democratic life through constructing active citizenship with ethnic minority students. 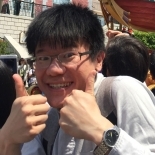 Mr. Chia-Wen CHEN is a PhD candidate in EdUHK. He has published journal papers and book chapters about reliability, validity, Rasch analysis, and psychometric modeling for ranking items. 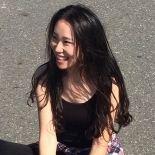 Chia-Wen also presented the application of the computerized adaptive testing at the international conferences of American Educational Research Association and the International Meeting of the Psychometric Society. 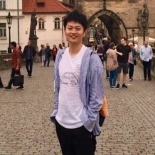 His major is educational measurement, item response theory, Rasch analysis, and computerized adaptive testing. I graduated from Bristol University in 2015, and am now studying for my PhD at the Education University of Hong Kong. I am conducting a pedagogical study on the development of students' generic green skills in the context of TVET. I enjoy my study and life here. I like teaching kids singing. I also have many hobbies like yoga, hiking, archery, running and baking. Libby completed her undergraduate study at the University of British Columbia. She has a MEd degree from the University of Education in Hong Kong. Libby used to work as a behavior consultant for children with special needs. She has also helped parents and families to communicate effectively with those with special needs. Libby’s current research study promotes social inclusion and acceptance for children with Autism in mainstream settings. Other than work, Libby also likes hiking, traveling, food tasting, movie watching and Zentangle drawing. As a psychology major, I understand the challenges of interpersonal communication. I am also empathetic with the difficulties in interpersonal communication that we are facing during our inflexible perspective taking. With my enthusiasm and patience, I believe that I would be a supportive and thoughtful counselling psychologist. Hi all! I'm a local final year PhD student. I love babies and young children very much. I worked as a nursery instructor for 8 years before I entered the program. I’m very interested in how children play and how they learn, so my favorite shopping venues are toy stores and children bookstores. My hobbies include reading (boring right, haha?! ), crafting, English calligraphy and I LOVE DOGS! I like Marvel movies, and my favorite character is Ironman. Ms. Dong is a Ph.D. candidature in the Department of International Education and Lifelong Learning in FEHD. She obtained her master degree in TESOL, which included a study of a large EAP class at the tertiary level in the U.S.A. Her Ph.D. examines the coherence of the College English curriculum in mainland China through textual analysis. Research interests include ESL/EFL curriculum studies and language teaching. Her hobbies are music, stories, games, hiking, traveling, and others. Regina is a PhD candidate in the Department of Education Policy and Leadership, with a background in applied psychology and counselling psychology. 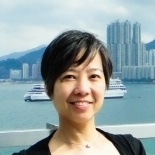 Prior to joining EdUHK, her work included providing counselling services in a medical clinic, and conducting tutorials of a common core course for undergraduate students. She is passionate about learning and research. She embraces the pragmatism research philosophy. I obtained my first degree in electrical and electronics engineering at the University of Hong Kong. After working for more than ten years as an engineer, I started my postgraduate study in psychology because of my interest in child development. I started my Ph.D. in 2016 and work closely with Professor Chung, Kevin Kien Hoa as my principal supervisor. More importantly, I am a father of a three-year-old boy. 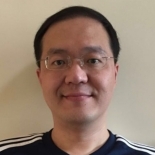 Guo Wu Yuan joined the Department of Curriculum and Instruction as a PhD student in September 2017. 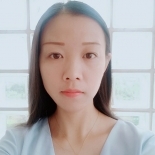 Prior to studying the doctoral programme in educational assessment, she majored in Applied Psychology for her Bachelor and Master’s degree and became a registered Psychological Counsellor in Mainland China. Her doctoral study focuses on educational assessment, mainly from the perspective of Psychology. She is also interested in the Rasch model and Item Response Theory. 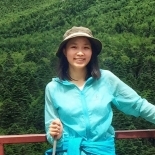 Qi HUANG is a PhD candidate in the Department of Early Childhood Education. She received her Bachelor from the Northeast Normal University and Masters from the Education University of Hong Kong. She has been engaged in research on understanding children's motivations and learning, and how parents and teachers can take action to enhance their children's motivation and learning. Qi's research interest explores the cognitive, motivational, and environmental factors that underlie children’s acquisition of mathematics and science. This is the sixth year that Fei has studied at the Education University of Hong Kong since 2013. She obtained the BSocSc in 2017 and now is studying towards an MPhil here. 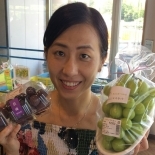 Fei is patient with and concentrated on her research and other daily life events, so she can always find best dishes in the cities she travels to. She has the world’s cutest cat, Mimi, and a dog called Wowo. 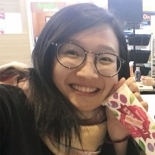 Kang Rong passed her thesis VIVA presentation in Jan. 2018 and was awarded her Ph.D. in Mar. 2018. Kang Rong trained as an engineer. 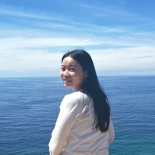 During this period, she witnessed the importance of mental energy in supporting a person's sustainable development, and wanted to discover more about this. 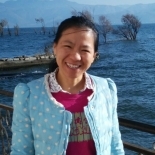 She received her Master’s in Developmental and Educational Psychology, and her license of Psychotherapy at the University of Chinese Academic of Sciences. Her study examined preschooler's capabilities to differentiate mental, biological and physical forces. She worked as a psychotherapy counselor for eight years and became interested in the key role career aspiration played in lifelong wellbeing. 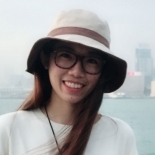 She then pursued her Ph.D here at the Education University of Hong Kong to examine how career exploration predicts future career success, and can be facilitated by online social media. She would like to further examine whether and how social cognitive skills predict career aspirations and apply the findings in STEM education. Master of Administrative Sciences from Karachi University Pakistan and MA in Muslim Cultures from The Aga Khan University – Institute for the Study of Muslim Civilizations, London, United Kingdom. Prior to joining EdUHK, worked as research associate at The Aga Khan University – Institute for Educational Development Pakistan; Head of Academic Research and Translation at ITREB Pakistan (a unit of Aga Development Network); Vice Principal at Shaheen Public School and College Karachi; and taught in the Department of Public Administration of Karachi University as visiting faculty member. Also taught management subjects to undergraduate college students and Mathematics at two secondary schools. Kigozi Edward was born in Kampala, Uganda in 1976. He is the second of ten children. 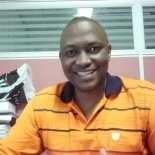 He was awarded a diploma in secondary education from Institute of teacher education Kyambogo in Uganda in 1999. He then obtained a Bachelor of Science degree in 2007, before studying a Master’s in Education Management at East China Normal University, Shanghai. 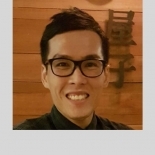 He has taught in a primary teacher training colleges and high schools for 18 years, and is currently pursuing a PhD at EDUHK. Jason's attention lies on the intersection of philosophy and psychology, particularly the topic of morality, and seeking psychological research support for philosophical theories. He is working on a specific kind of moral relativism which can account both the flexibility of radical moral relativism and the resoluteness of moral absolutism. I am from Xi'an, a traditional and beautiful city. I like different kinds of noodles and Chinese burgers (roujiamo). It is a great honor to study here and an enjoyable experience learning from different people and researchers. My hobbies are hanging out in fruit and vegetable markets, and reading picture books. 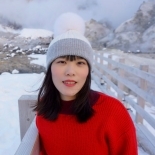 Sunshine LUAN is a PhD student of the Department of Special Education & Counselling and affiliated with the Centre for Special Educational Needs and Inclusive Education. She loves laughter, and hiking with friends. She hopes that everyone can enjoy life like her. This is why she is interested in promoting positive psychology to teachers under inclusive education. 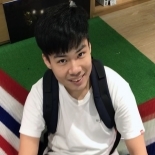 Pan is a PhD student in Early Childhood Education. 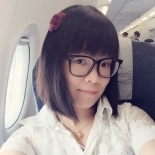 She is a registered teacher at the Education Bureau of Hong Kong, and a registered child care supervisor and worker at the Social Welfare Department of Hong Kong. 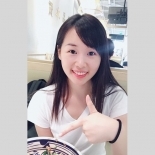 She has working experience of teaching and managing in kindergartens in both Hong Kong and Mainland China. 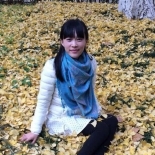 She endeavours to promote knowledge transfer and quality education in ECE in Chinese contexts. She likes traveling, scuba diving, long-distance running, reading and writing. Before joining the PhD programme, I worked as a project assistant in the Department of Psychology. The job convinced me that I would like to research on Children. Now I enjoy my daily life at EdUHK. When I feel pressured, I go to the gym, go swim or cook at home, which make me relaxed. My friends and I have written two aims on our phone screen- keep healthy and graduate on time. 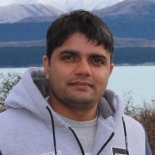 Prem Prasad Poudel has a wide range of teaching and research experiences in Nepal. He has worked as a mentor for college students for some years. 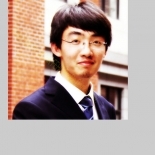 Currently, he is working on language policy issues and is pursuing a Doctor of Philosophy in Policy Studies at the Education University of Hong Kong. This looks at Medium of instruction policies and their enactment from an equity in policy implementation process. 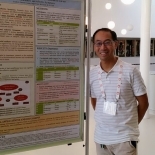 Apart from this, he has published a number of articles in peer-reviewed journals that deal with multilingualism, information and communication technologies and teacher education. 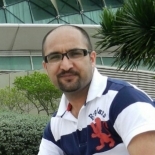 He has also worked in various positions in professional organizations and contributed as a reviewer for some journals. 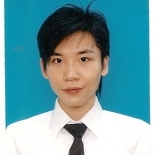 I’m Xinyue, from SEC department. My academic life is consists of studying and experiments. In my spare time, I like exercising, swimming, listening to concerts, watching movies and dramas, searching for delicious food, and travelling. As a RPg student, I hope I can “work hard, play hard”. Hi, I'm a PhD student studying in EdUHK. My research interest is about developmental psychology and children's social behavior. I love delicious food and traveling. Keeping exercising gives me a good status to do research! I am a current MPhil student and my research topic is: "Parents' Coping Experiences during Gender Transition of their Transgender and Gender Nonconforming (TGNC) Adolescent or Adult Child in the Hong Kong Chinese Context". I am affiliated with a self-help organisation for transgender persons. I Love movies, books and travelling. Interested in knowing more about human being and the world. The research journey has helped me to understand better of people, the world, myself and what I want in my life. I’m sometimes too serious and overthink a lot but I always enjoy the good times and bad times of life. 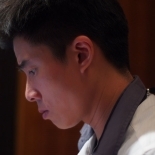 I was inspired by Premier Enlai, Zhou: “For the rise of the Chinese study”. I am pursuing Ph.D. degree at the Department of Early Childhood Education of EdUHK. The time to meet pair of people, this is the life of happiness! Here I meet my mentor, Dr. Dora Ho, whose optimism has kept me enthusiastic about my work and life. We live in a peaceful, prosperous time, but we can make it better. Hope our motherland, China, keeps growing stronger and stronger! 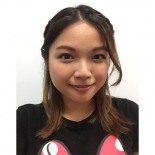 Cherie Wang is currently a PhD candidate at the FEHO, majoring in lifelong learning. 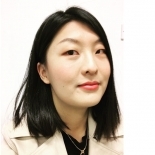 Her PhD study focuses on the later life learning motivations of Chinese older adults. 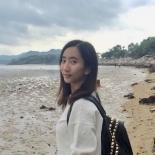 Before she came to EdUHK, she graduated from Beijing Normal University with a Masters degree in developmental psychology, where her studies focused on the social and psychological well-being of the elderly. 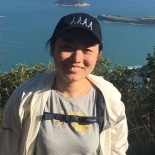 Cherie cares about the educational and psychological needs of older adults, and hopes her research can help improve the quality of life for Chinese older people. 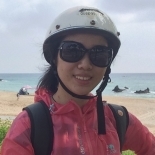 Yiping Wang is an MPhil student of the Department of Curriculum and Instruction and the Center for Governance and Citizenship. 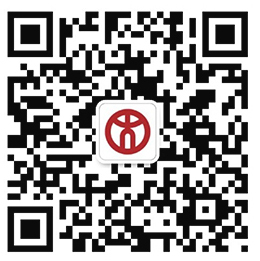 Yiping received her Bachelor degree of Education at Beijing Normal University. Now she is supervised by Prof. David Coniam and Prof. Kerry John Kennedy. Her research interests includes citizenship education, youth political engagement and political culture in China and Hong Kong. 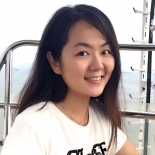 Wu Xue is a PhD candidate in the Department of International Education and Lifelong Learning at the Education University of Hong Kong. 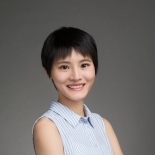 Her research interests lie primarily in the fields of lifelong learning, investigating the relationship between ageing and later life learning for older adults, as well as policy and practice pertinent to the provision of lifelong learning for older adults in China, and exploring ways to integrate these insights into policy-making. Her doctoral thesis theorizes and conceptualizes the role of empowerment in community-based later life learning, and their influence on active ageing, utilizing theories from education, sociology and philosophy. 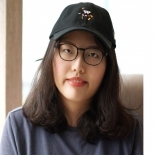 Miss WU completed her undergraduate studies at Eastern New Mexico University in USA with a dual degree in Accounting/Business Administration and Electronic Media, and holds a Master degree in Business Administration. 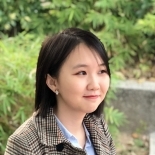 Before devoting her study to EdUHK, Miss WU served as a PR Specialist at State Grid Corporation of China, and an editor at China Electric Power Press. A PhD candidate at the Department of Special Education and Counselling, the Education University of Hong Kong. My research focuses on psycholinguistic and embodied cognition, especially from developmental perspectives. IT geek, part-time website designer, semi-full time researcher. I'm interested in modern Chinese culture, cross-cultural comparison, as well as American Politics. I have broad research interests in the field of education. My teaching experience in various settings and research background inspired me to focus on local phenomena from a global perspective. I am exploring the external and internal factors affecting policy change in the kindergartens adjacent to the Shenzhen-Hong Kong boundary areas. The findings will provide strategies about their sustainable development to policy makers at the kindergarten and government level.